Anxiety: Tea has high amount of caffeine. It increases heart rate, sweat, anxiety and restlessness. Stomach Problem: Tea has tannin and tylin, which disturbs the digestion. Gas and constipation problem also increases due to mixing milk in it. Bones: Tea leaves has high amount of fluoride. Bones become weak due to it. Insomnia: Tea contains phytochemicals, which disturbs the bio-logical clock of the body. Therefore, insomnia problem increase. Addiction: Tea contains caffeine therefore, one might get addiction. One get headache, fatigue and interest reduces in work. Cancer: Hot tea damages the nerves. Therefore, one might get cancer. 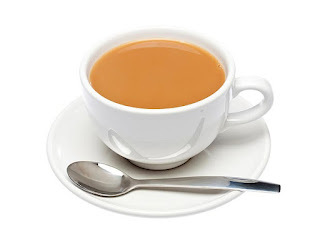 Kidney: Drinking more than 5 cups of tea increase urine problem 400-500%. It gives more pressure on kidney. Tea contains oxalates, which creates kidney stone. Healthy Minerals: Tea increases urine problem. It also removes sodium, potassium and calcium. Dehydration: Urine increases due to caffeine in tea. It also removes water from the body and one might face dehydration. Toxins: Tea leaves have aluminum and other toxins. Therefore, one might face skin disease.